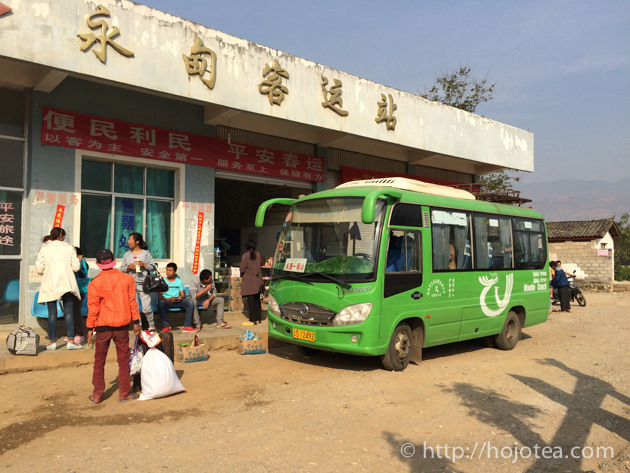 I have been in Yunnan since 20th March 2015 to hunt for new crop of raw pu-erh tea. 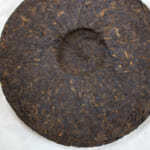 In Lincang region of Yunnan, the very first crop of pu-erh tea is available around 20th March. Usually, tea is harvested starting from the gardens at lower altitude where generally younger tea trees are grown. It is because young tea tree grows faster while the old tea tree grows much slower. 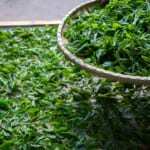 The earliest-plucked tealeaf is generally smaller size than the tea plucked later in April. 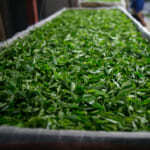 For the farmer, to collect sufficient quantity of smaller tealeaf requires more time and it is harder work. 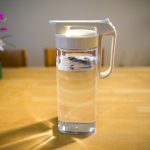 The first-plucked tea is very limited quantity in the market, and for us, it is a sort of competition to purchase quality tea. 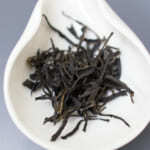 If a person knows how to taste tea, he surely wishes to get the first-plucked tea. 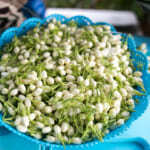 Since many people are interested in the first-plucked tea, it will be “first come, first served” situation. 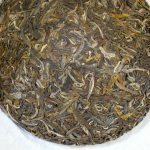 In particular, it is very essential for us to purchase directly from the manufacturers for popular tea such as natural farming tea collected from the old tea trees grown at high elevation. 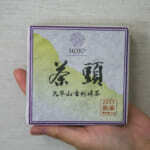 These teas are very limited and many of them are sold out even before it reaches the commercial tea market. 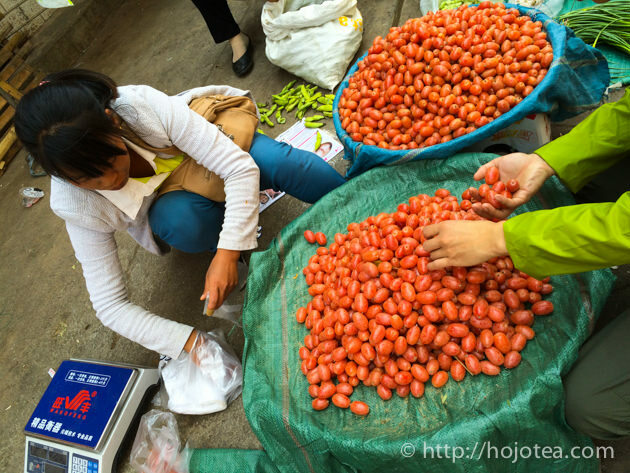 In addition, it is very crucial to visit the production area before the first week of April. If we arrive here 3 weeks later, the chance that quality tea is available becomes elusive. I decided to come to Yunnan earlier before the main tea season starts. I am planning to meet the manufacturer in advance and requesting them to custom-made our tea according to the following criteria. Intensity of frying process so as to manage the percentage of fermentation and the flavour. I have departed KL, Malaysia on 20th and reached Kunming on the same day. 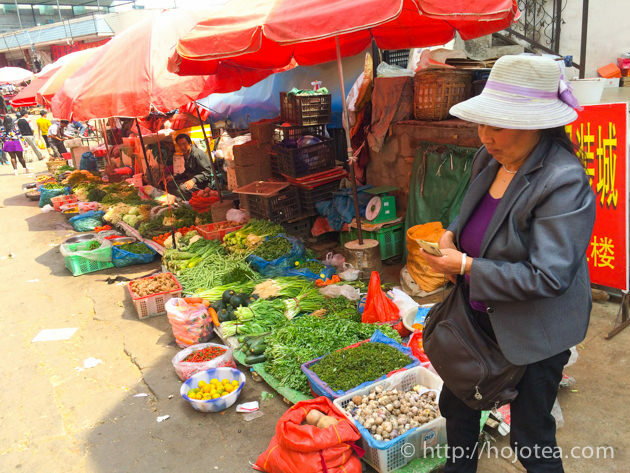 Then I transited once in Kunming and headed to Baoshan city, where I have stay overnight. On 21st, I have departed very early in the morning and headed to another town closer to the Myanmar border. I will take bus again to visit various mountains. Currently there is civil war in Myanmar near the border to China in Lincang. Since this is exactly the area I am actively hunting tea, I may need to be careful for the destinations. I have visited the local market. I simply love the local market. But most importantly, I wanted to sense the atmosphere of the season in this area. 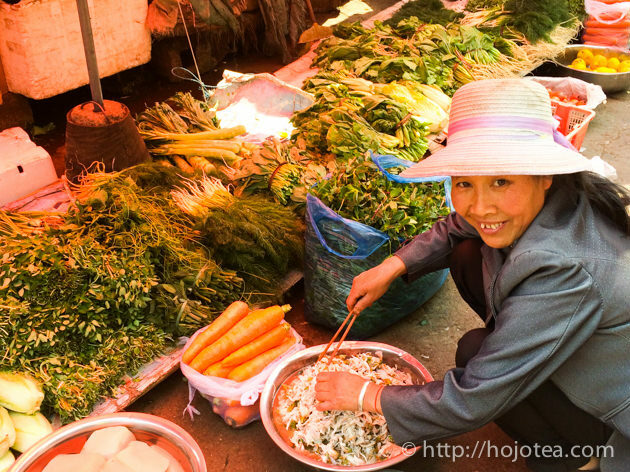 While in the local market, the seasonal items available tells a lot about the season. According to the information from my manufacturer, there is slight delay in tea season. 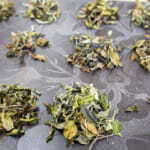 The plucking of wild tea and tea grown at lower altitude has already begun since early this week. The natural farming tea grown at higher altitude at about 2000m and above, and those from the old tea trees will be harvested around next week. I assume that I will be very busy from next week onwards.